A protest was launched today by Black Lives Matter near the White House, where demonstrators said they were "fed up" with reports over the killings of blacks by police. Members of the black caucus of the House of Representatives are to meet with FBI Director James Comey to discuss the deaths of two black men -- Philandro Castile and Alton Sterling -- at the hands of police in Minnesota and Louisiana, respectively. However, the deaths of whites at the hands of police receive much less attention, even in cases where the circumstances of the deaths are controversial. 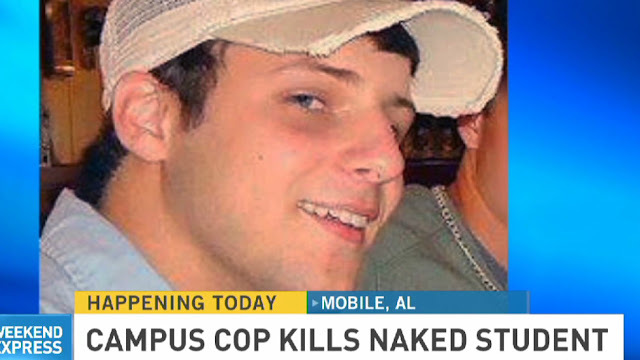 Examples include the death of Gilbert Collar (18), a white student at the University of South Alabama. 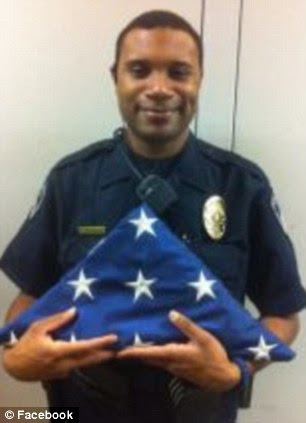 Collar was naked and under the influence of drugs when he was shot to death by Trevis Austin, a black police officer. Austin was cleared of the deed in 2012 by a Mobile County grand jury. Little attention was focused on the case outside of Alabama. Collar’s family filed a federal lawsuit against the police that is ongoing. White officers shooting unarmed black men amounted to less than 4 percent of fatal police shootings. In about 75 percent of those incidents, police were under defending themselves or civilians. Most of those killed were wielding weapons, suicidal or mentally disturbed, or ran when ordered to stop. Nearly a third of police shootings involved car chases that began with a minor traffic stop. Dillon Taylor was shot to death by a Salt Lake City police officer in 2014. The officer, Bron Cruz, who was identified as "not white" by the police, was exonerated by prosecutors. In a similar case, police shot to death an unarmed white man in Fresno, California, on June 25. 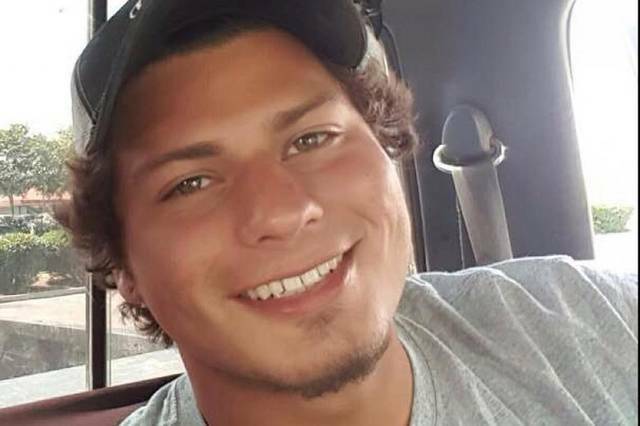 Responding to a report of a man wielding a long gun, police ultimately shot to death 19-year-old Dylan Noble, a white man. Amateur video recorded the shocking scene at a gas station. Police claimed that Noble made a "conscious effort to conceal one hand behind his back, then in his waistband, as he exited the truck, and walked away from officers." They claimed that Noble told police that he "hated his life," and turned around to walk toward them. They then opened fire. Subsequently, Noble was found to be unarmed. He was shot four times and appears to have been already on the ground underneath his truck when two shots were fired. The shooting was also captured by police body cameras, but police refuse to release it. Assistant Professor Peter Moskos of John Jay College of Criminal Justice at City University of New York used figures available at the Killed by Police website. Moskos reported that based on that data, about 49 percent of those killed by police officers (May 2013 -- April 2015) were white, while 30 percent were black. He also found that 19 percent were Latino and 2 percent were Asian and other racial categories. While adjusting to take into account U.S. racial categories, Moskos said black men are 3.5 times more likely to be killed by police than white men. However, when adjusted to account for the racial breakdown in violent crime, the data actually show that police are less likely to kill black suspects than white ones. “If one adjusts for the racial disparity in the homicide rate or the rate at which police are feloniously killed, whites are actually more likely to be killed by police than blacks.” He added, “Adjusted for the homicide rate, whites are 1.7 times more likely than blacks die at the hands of police.” Moskos, who is the author of “Cop in the Hood” and a former Baltimore police officer, gave two possibilities for the apparent racial disparity: 1) police assigned to black neighborhoods face “more political fallout when they shoot, and thus receive better training and are less inclined to shoot.” 2) Police assigned to black neighborhoods with high crime rates are more accustomed to danger and thus are thus less likely to resort with lethal force. Moskos also cited figures that showed that black men are 16 times more likely to be killed by a police officer than to kill one. White men are 20 times more likely.